Looking For the Best Landlord Insurance in Cincinnati? No matter if you manage hundreds of rental units or only a few individually owned single-family homes or apartment buildings, it’s important that you take time to explore the different options for landlord insurance in Cincinnati. 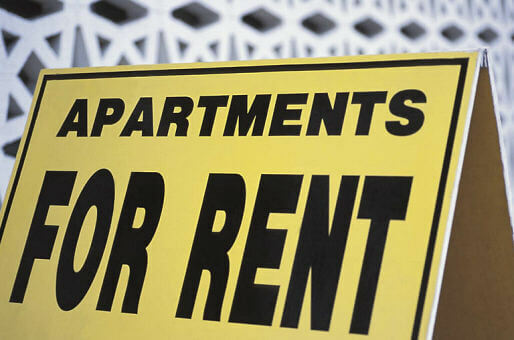 Call the experts at 513-662-7000 to receive the best quotes on landlord insurance Cincinnati. Keep in mind one very important aspect when you’re looking to obtain better insurance for your rental properties. 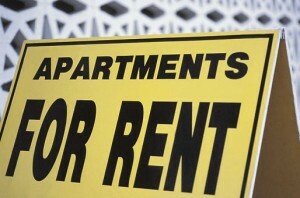 Purchasing cheap landlord insurance in Cincinnati can get you burned financially at claim time! Uncovered Losses Can Cost You Tens of Thousands of Dollas! When a rental property loss occurs and the subsequent claim is rejected, it’s often due to an exclusion of coverage. Every policy form contains exclusions and limitations of coverage plus terms and conditions that the individual policyholder must abide by. If you need the best landlord insurance in Cincinnati no matter if you own apartment buildings or single family rental unit contact us at 513-662-7000. Let’s Review Typical DF-3 Policy Form Exclusions of Coverage for Landlord Insurance Cincinnati. 1. Enforcement of any ordinance or law regulating the construction, repair or demolition of a building or other structure, unless specifically provided under this policy. We do cover loss caused by actions of civil authorities to prevent the spread of a fire caused by a Peril We Insure Against. 2. Earthquake or other earth movement including loss caused by, contributed to or aggravated by landslide, mine subsidence, mudflow, earth sinking, rising or shifting. c. water or water-borne material below the surface of the ground. This includes water which exerts pressure on or flows, seeps or leaks through any part of a building or other structure, sidewalk, driveway, foundation or swimming pool; caused by or resulting from human or animal forces or any act of nature. We do cover direct loss that follows, caused by fire or explosion. 4. Failure or interruption of power or other utility service which occurs away from the insured premises. We will pay for loss caused solely by a Peril We Insure Against that ensues at the insured premises. 5. Neglect of an insured to use all reasonable means to protect covered property at and after the time of loss, or when property is endangered by a covered loss under Section I – Property Protection. 6. War (declared or undeclared), civil war, insurrection, rebellion, revolution, warlike act by a military force or military personnel, destruction or seizure or use for a military purpose, and including any consequence of any of these. Discharge of a nuclear weapon will be deemed a warlike act even if accidental. 7. Nuclear action, meaning nuclear reaction, radiation, radioactive contamination or discharge of a nuclear weapon even if accidental, or any consequence of any of these. Loss caused by nuclear action is not considered loss by perils of Fire, Explosion or Smoke. Direct loss by fire resulting from nuclear action is covered. 8. Intentional acts, meaning loss resulting from an action by or at the direction of any insured, committed with the intent to cause a loss, or where the results of such action are reasonably foreseeable and cause a loss. Intentional acts include criminal acts. In the event of such loss, no insured is entitled to coverage, even an insured who did not commit or conspire to commit the act causing the loss. due to the inability to correctly recognize, process, distinguish, interpret or accept one or more dates or times. b. Any advice, consultation, design, evaluation, inspection, installation, maintenance, repair, replacement or supervision provided or done by you or for you to determine, rectify or test for, any potential or actual problems described in 9. a. (1) (a) through (f), and 9. a. (2) of this exclusion. If an excluded cause of loss as described in 9. a. (1) (a) through (f), and 9. a. (2) of this exclusion results in a Peril We Insure Against we will pay only for the loss or damage caused by the described peril. We will not pay for repair, replacement or modification of any items, described in 9. a. (1) (a) through (f), and 9. a. (2) of this exclusion, to correct any deficiencies or change any features. 10. Fungi, wet or dry rot, or bacteria. 11. Damage to or loss of use of property resulting from the entire process of a volcanic eruption. This includes, but is not limited to, eruption of a volcano, earth movement resulting from the eruption process, or discharge, dispersal or accumulation of lava, rock, soot, ash or any other material from a volcano. 12. An intentionally set fire if the dwelling has been vacant for more than 30 consecutive days immediately preceding the loss. A building under construction is not considered vacant. k. Mismatch between undamaged material and new material used to repair or replace damaged material due to outdated, obsolete or discontinued products. If water escapes from a plumbing, heating, air conditioning or automatic fire protection sprinkler system, water heater or household appliance because of any loss identified in exclusion B.1.a. through B.1.k., we cover loss caused by the water. We also cover the cost of tearing out and replacing any part of the covered building necessary to repair the system, water heater or household appliance. We do not cover loss to the system, water heater or household appliance from which the water escapes. 2. Theft in or from a dwelling under construction or of construction materials and supplies until completed and occupied. 3. Freezing, thawing, pressure or weight of water or ice, whether driven by wind or not, to a swimming pool, hot tub or spa, including their filtration and circulation systems, fence, pavement, patio, foundation, retaining wall, bulkhead, pier, wharf or dock. 4. Vandalism or malicious mischief, theft or attempted theft, or breakage of glass and safety glazing materials if the dwelling has been vacant for more than 30 consecutive days immediately preceding the loss. A building under construction is not considered vacant. b. shut off the water supply and drain the systems, water heater and household appliances of water. 6. Weather conditions, if they contribute to produce the loss in any way with a cause or event excluded under Section I – Property Protection Exclusions A. 1 through A. 12. 7. Acts or decisions, or the failure to act or decide, of any person, group, organization or governmental body. d. maintenance; of parts or all of any property whether on or off the insured premises. 9. Collapse, other than as provided in Section I – Additional Coverages item 1. 10. Continuous or repeated seepage or leakage of water, steam or moisture, which occurs over a period of weeks, months or years from within a plumbing, heating, air conditioning or automatic fire protection sprinkler system, water heater or household appliance, and results in deterioration, corrosion, rust, or fungi. 11. Theft of property which is not actually part of any covered building or structure. c. awnings, canopies and signs. 13. Damage to fences, driveways and walks caused by vehicles owned or operated by you or an occupant of the insured premises. Under Section I – Property Protection Exclusions B. 1. through B. 9, any ensuing loss to property described in Coverage A – Dwelling and Coverage B – Other Structures not excluded or excepted in this policy is covered. The Best Landlord insurance in Cincinnati is available through Pathway Insurance! Call us at 513-662-7000 and we can help you obtain the best coverage for landlord insurance in Cincinnati.